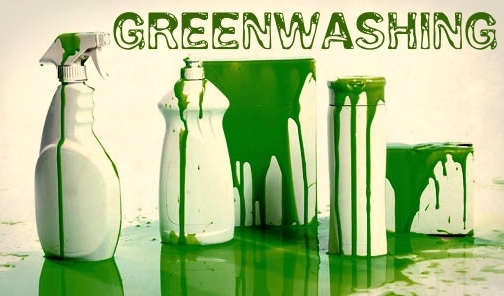 Vanity Rehab: GREENWASHING - The truth behind the so called "GREEN" and "CLEAN" cosmetics. 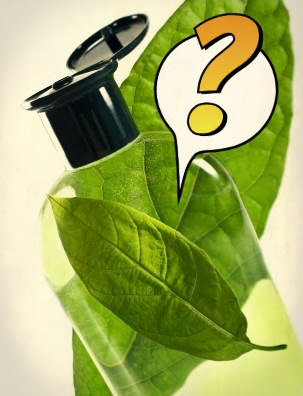 So,how many times have you fallen prey for the cosmetic products which seem to be nothing but 'GREEN' (100%Natural,Organic,Botanical,Pure Ayurvedic/Herbal,Safe/Eco-friendly ingredients etc., etc.,) only to find out later that most of them were anything but GREEN? I know.Each and everyone of us have gone through this and some of us are going through or are going to go through it. And when these claims turn out to be false,it can be labelled as "GREENWASHING". 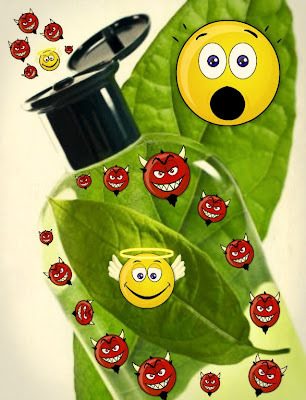 The companies mislead consumers about the Therapeutic benefits,Harmlessness and 'Green'ness of their products by claiming that they are Natural,Organic,Safe and filled with chock full of beneficial ingredients.They mask the product with leafy,flowery,fruity,rustic-old world etc., labels which shout GREEN & CLEAN and lures the consumer in to their trap. And then they advertise as if their products contains majority of whatever natural ingredients they are singing songs about. In India,99.9% of the times its a BIG NO! The product does contain the natural ingredients that the company is singing songs about,but in most cases you'll find it not at the top,not even middle but at the bottom of the list! 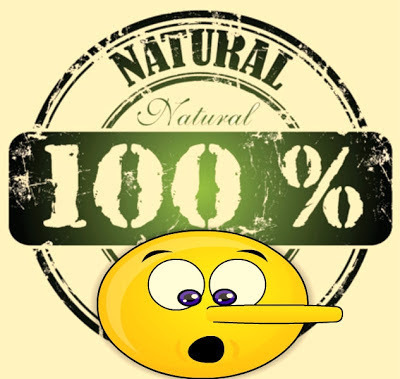 We may even see the results that they claimed..but wait,it could be the synthetic ingredients doing their job and we start believing that it is the miracle of that so and so natural ingredient. ranges from 7:3 to 9:1 respectively. At this ratio,it is impossible for the natural ingredients do any justice to the claims being made by the company.And the harmful chemical ingredients that fill up the rest of the product may prove toxic not only to us but to our nature too.They claim that their products are ORGANIC when in fact they contain only one or two such ingredients and the rest are sourced from non-organic farming where they use conventional pesticides and harmful chemicals which are toxic to our nature to grow their crops.All the above points prove that the GREEN claims made by the company were OUTRIGHT FALSE! To mask the quantity of the product's harmful chemical content,some clever companies provide incomplete ingredient list! They mention just the Key/Active ingredients and leave the rest to our imagination! The seemingly Pure Ayurvedic/Herbal comsetics are no exception.They claim that the product is made using age old ayurvedic recipes and ya..it does contain the ingredients of the original recipe.But, here's the catch: That herbal recipe is suspended in a base of conventional chemical ingredients.Most of them usually don't reveal the contents of their base. Seemingly GREEN Colour cosmetics/Makeup (including mineral cosmetics) are no exception either! Many of them are following the same trend! So,why are the cosmetic companies doing this? 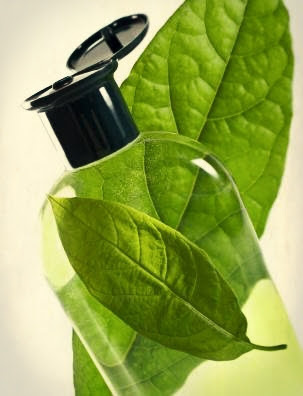 Because,when the cosmetic companies learnt about the current GREEN trend,they also learnt that it would cost a fortune for them to substitute those cheaply available toxic synthetic chemicals with pricey natural and safe equivalents. By hook or by crook they wanted to follow the trend and make huge profits.So,GREENWASHING came to their rescue! Good P.R.Move!? 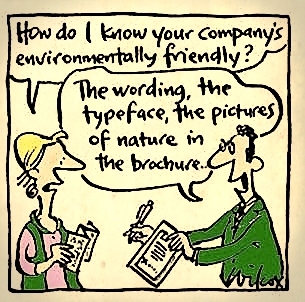 Ya,exactly..that's how these GREENWASHING cosmetic companies are running their business. 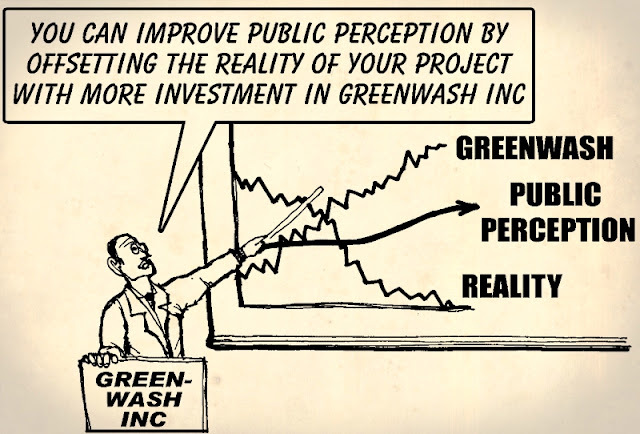 I wonder if there really are such "Greenwash inc."s out there...or...may i say,'in' there! The words like "Natural,Botanical,Pure Ayurvedic/Herbal,Safe etc.," on cosmetics have no clear definitions and regulations. So,can't you do anything to save ourselves from this greenwashing menace? Never ever blindly believe when a product says that it is all natural.They may say so but they may not be so. 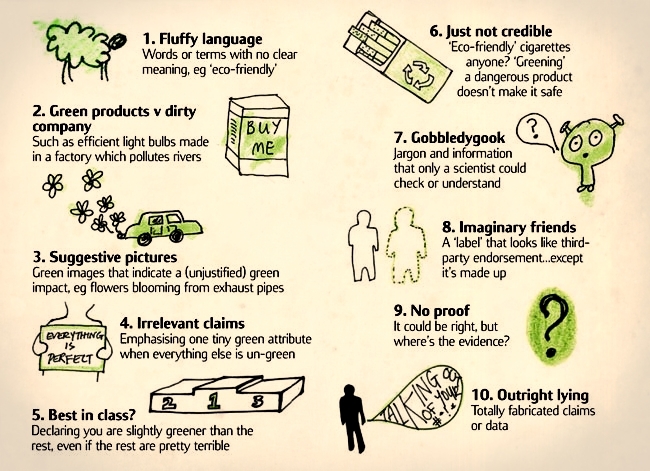 Never fall for the seemingly GREEN & CLEAN packaging or labels.They may look so but they may not be so. 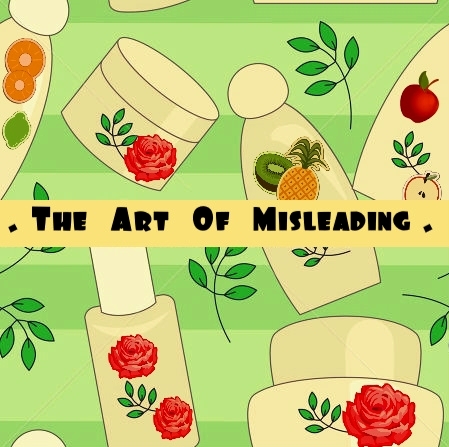 Don't go by those misleading commercials.They show angelic looking models in natural looking sets and sing songs about the miraculous results that so and so ingredient they used in their product is going to give you.There may hardly be any truth in those claims and it could be the synthetic ingredients doing justice to those claims. Always check the full ingredient list and where on the list are those natural ingredients placed. If the product contains only key/active ingredient's list, then by all means 'suspect it'. 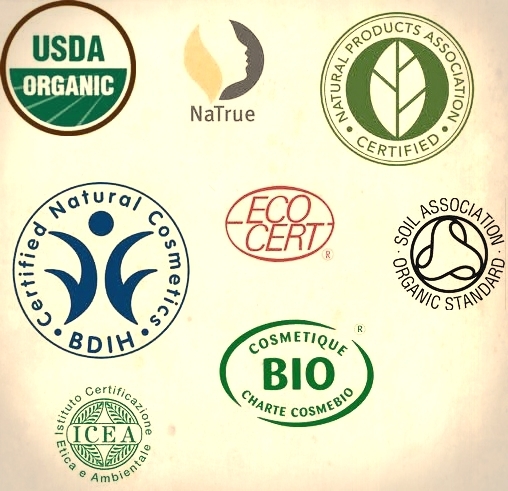 Beware of the words like "100%Natural,Organic,Botanical,Pure Ayurvedic/Herbal,Safe/Eco-friendly" on cosmetics.Because, they have no clear definitions and regulations. Some of the certification bodies in the above pic are international.There are some indian certifying bodies too which i need to research more about.I'll definitely do a post about it in the future. 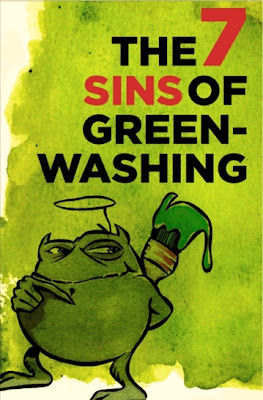 The 7 sins of GREENWASHING. Click HERE to read those 7 sins. Hope this article about GREENWASHING was helpful. This does not end here! Wait for the PINK side of it in my next post! NOTE: I dowloaded the images from different locations and edited all the images myself to make them suitable for this article. Original image sources: 1,2,3,4 to 11-Google images,12,13. Very nice and informative post dear...and a great initiative by you..
Look forward to more such informative posts! and hope ur health is better now.. :) tc..